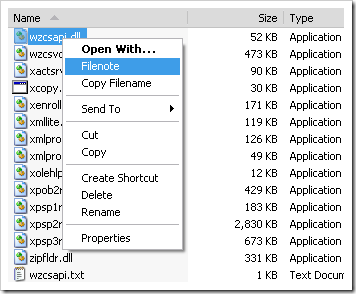 We recently covered how to clean up your messy Windows context menu, but have you ever wished you had more functionality in the menus for Windows Explorer? There’s a lightweight application that gives you a couple of extremely useful tools, including the ability to toggle hidden files or copy filenames to the clipboard. 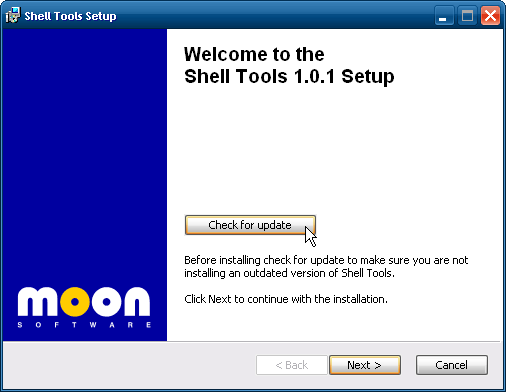 This utility is called Shell Tools, and it works on any 32-bit version of Windows, whether XP or Vista. 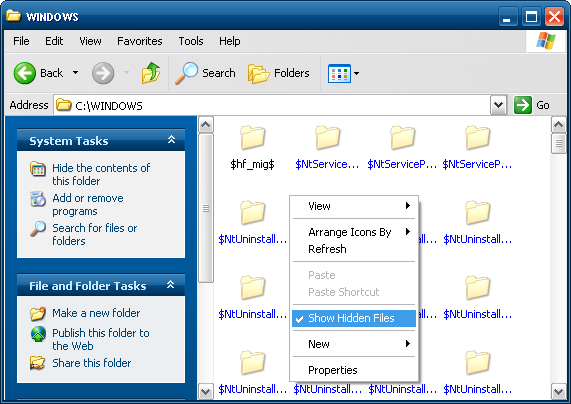 Note: Windows Vista users already have the ability to copy the path of a file to the clipboard, and you can use a hotkey to toggle hidden files instead, but we’re all about giving you options. Installation is quick and easy and you have the option to check for updates which is always a cool feature, although it’s not clear that there will be any updates since it’s still at version 1.0.1. 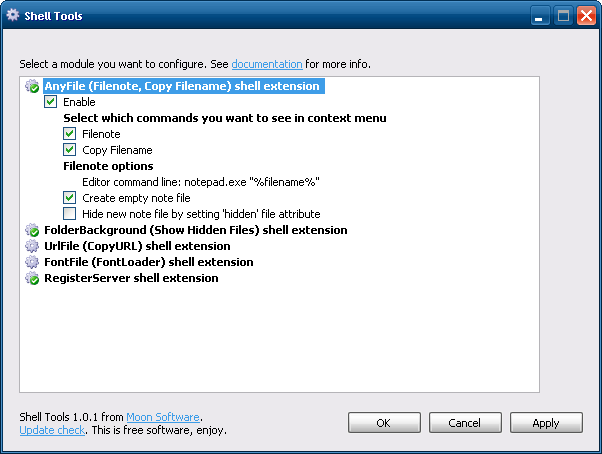 Once installed navigate to Start All Programs Moon Software Shell Tools so you can activate the various modules. They are all disabled by default after installation. 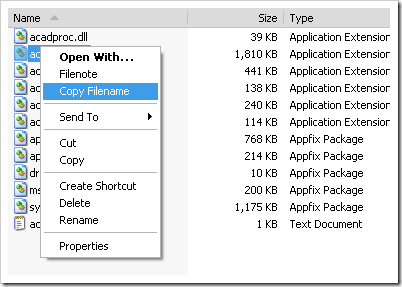 The Copy Filename extension allows you to easily copy names of files to the clipboard, as mentioned above. The Filenote extension opens up notepad allows you to make comments on a file, saved as ‘filename’.txt. Another cool one is Show Hidden Files, which lets you toggle hidden files easily via the context menu, rather than going through the menus to try and toggle the setting. This comes in very handy when troubleshooting a nasty virus or spyware application. 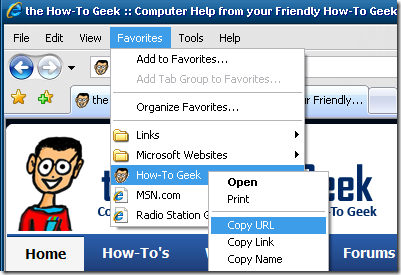 The CopyURL extension lets you copy a URL, link, or name from Internet shortcuts. There are also a lot of other cool shell options to enable such as Font Loader which allows you to load and unload fonts easily, and Fresh Icons which will force windows to rebuild wrong icons for files, folders, and programs. If you want a way to work more efficiently in Windows Shell Tools is definitely a cool utility to have.